Please note this envelope size is not mailable via USPS. 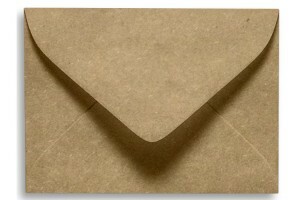 The #17 mini style envelope (2-11/16" x 3-11/16") adds a unique touch to any announcement: coordinate with your favorite seating or place cards, or use with gift-cards on packages or flower arrangements; also holds several standard-sized business cards (2” x 3 ½” dimension). Available in an assortment of shiny shades, you’ll be sure to find one to reflect your personal flair!